Update: The City Museum was able to acquire much of the material from the mansion, and incorporated it into new portions of outside display. This abomination replaced the mansion. I had just discovered this spectacular house a month ago, and now it’s being demolished. 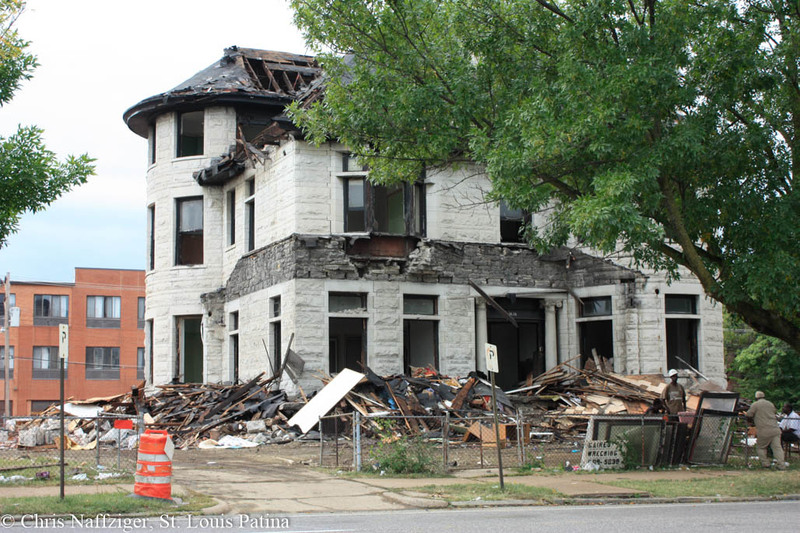 I was alerted by Vanishing St. Louis, who also has stunning photos of what had been the well-preserved interior. What a sad and shameful loss.